If you are currently investing or are seeking investment opportunities in the South Florida real estate. Understand the rules and regulations that influence your bottom line. Outline the transfer of your assets to any beneficiaries and heirs should something happen to you. Make sure your personal liabilities or those of your beneficiaries are protected from pertinent tax consequences. 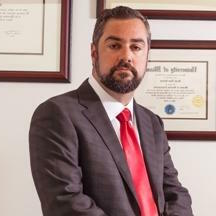 Attorney Jorge L. Gurian's vast experience as a lawyer and his master's-level education in tax law, specifically, has earned him a reputation for excellence throughout the Miami area. He works closely with each of our clients to preserve wealth, reduce their overall tax payments and preserve their assets so they are not liquidated due to unexpected circumstances. The right legal representation today can dramatically influence your investments tomorrow, so make sure to work with an attorney who can give you the individualized attention you need. Every bit of income you receive or property you hold is subject to taxation. While investments in real estate have the potential for substantial return, you need to make sure that you enter into those investments with an understanding of how you can limit the taxes you pay and maximize your financial interests. If you are currently investing or are seeking investment opportunities in the South Florida real estate, work with an experienced Miami real estate investment and tax attorney to understand and plan for the full scope of legal issues related to those investments. At the law firm of Jorge L. Gurian, P.A., we represent individuals, business owners and investors both within the United States and abroad in a wide range of real estate issues and their associated tax implications. With more than 20 years of experience as a lawyer and a master's-level education in tax law, attorney Jorge L. Gurian brings to light key issues that often go overlooked by the average real estate attorney. For example, we may find it is ideal for our clients to choose a business entity as a basis for residential or commercial real estate investments. Even the most standard real property investments can benefit from this as it creates a more flexible and tax-friendly structure for investment. 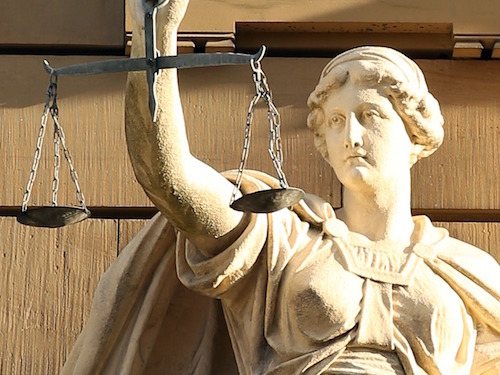 Furthermore, this protects the investor from personal liability in litigation that may arise down the line. Whether you are seeking guidance in an LLC, S-corp, LLP or even a foreign parent company, our firm can help. Please contact Jorge L. Gurian, P.A. online or by telephone at 305-931-0541. When you own, operate or invest in a business, you need to have an understanding of the rules and regulations that influence your bottom line. In the corporate and business world, tax laws dramatically affect the financial standing of an organization, and they are constantly changing. It is crucial that you have an experienced Miami business tax attorney to turn to when you need to make decisions related to how your corporate entity is taxed. At the law firm of Jorge L. Gurian, P.A., we represent individuals, owners, investors and other key stakeholders in South Florida business interests. Whether you are located in the United States or are living abroad but want to become involved in the Miami area business community, we can help. Attorney Jorge L. Gurian has worked with individuals of all backgrounds, addressing their concerns with sophisticated knowledge of tax law, specifically. He remains on the forefront of emerging legislation and keeps his clients informed of all pertinent issues that could influence their bottom line. Whether you are a small-business owner, are investing in Miami real estate or are interested in becoming a shareholder of an existing enterprise, you need to have reliable information on your side. We can work to maximize your wealth and preserve your assets by minimizing the taxes you pay and securing them for your future. Please contact Jorge L. Gurian, P.A., online or by telephone at 305-931-0541 to schedule an appointment and discuss your business tax questions with an experienced lawyer. Secure estate planning documents should be in place to outline the transfer of your assets to any beneficiaries and heirs should something happen to you. Many people, however, either fail to address these issues before it is too late, or fail to recognize how estate gifts influence those who receive them. Federal and state gift tax laws apply to heirs, which means if the recipient of an estate's assets receives more than a certain amount of money within one year, he or she will be taxed on that gift. In some cases, setting up strategic accounts or trusts will be most effective in dealing with these issues. For example, a charitable trust may allow you to give up to a certain amount of money each year without being taxed. Before you decide on a specific estate plan strategy, make sure you work with an experienced Miami estate gift tax attorney who can assure your best interests and those of your loved ones are protected to the fullest extent of the law. At the law firm of Jorge L. Gurian, P.A., we help individuals and families understand the tax laws that influence their estate gift plans. We work with clients throughout the Miami area and South Florida in minimizing the amount that an heir will be taxed when assets are transferred. With more than 20 years of experience as an attorney and vast understanding of tax law, specifically, attorney Jorge L. Gurian can assure that your needs are met. He works collaboratively with clients to achieve their goals, always putting their needs first and taking the time to answer questions personally. Please contact Jorge L. Gurian, P.A., online or by telephone at 305-931-0541 to schedule an appointment and discuss your estate gift tax questions with an experienced lawyer. Holdings in real estate and businesses are always subject to market gains and losses. Any investment you make will likely see its ups and downs, and through it all you need to make sure your personal liabilities or those of your beneficiaries are protected from pertinent tax consequences. Working with an experienced Miami investment tax attorney at our firm can help. At the law firm of Jorge L. Gurian, P.A., our clients turn to us for reliable, to-the-point advice in wealth protection, preservation of assets and estate planning issues that influence the value of real estate or business interests. Our experience spans more than 20 years in the practice of law, and that experience is paired with attorney Gurian's credentials of a master's degree in tax law. Such comprehensive knowledge of this nuanced area of law has earned us a reputation for excellence that investors throughout South Florida can turn to, whether they live within the United States or are investing in the U.S. from locations abroad. Tax codes are continuously changing, which adds another layer of complexity to these issues. Your attorney should be knowledgeable of the most up-to-date tax standards and be able to communicate them to you promptly, so you can make the most informed decisions possible at any time. We have the skill and understanding to deliver such information. Before you enter into any contract, whether in real estate, business law or estate planning, work with an experienced lawyer at our firm. Contact Jorge L. Gurian online or by telephone at 305-931-0541 to schedule an appointment and discuss your tax questions.